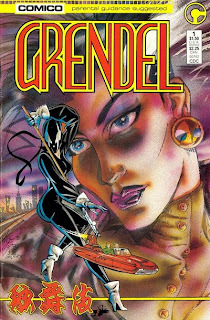 She's Fantastic: Graphitti Design's CHRISTINE SPAR as GRENDEL! 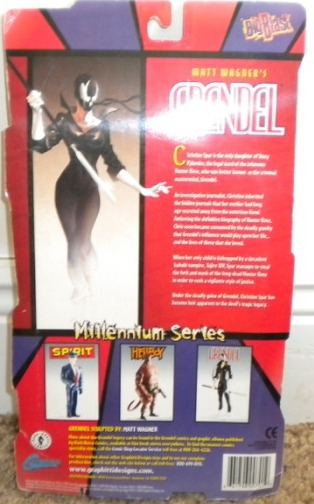 Here are some in-package pics swiped from an online auction. 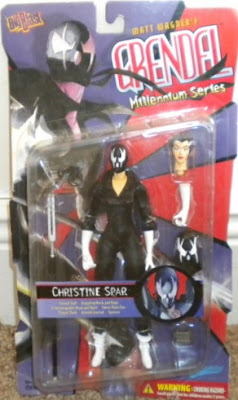 Note all her accessories, and Unmasked head, a 2-pronged spear staff, an extra forearm, and a "dangling" mask for her to hold. 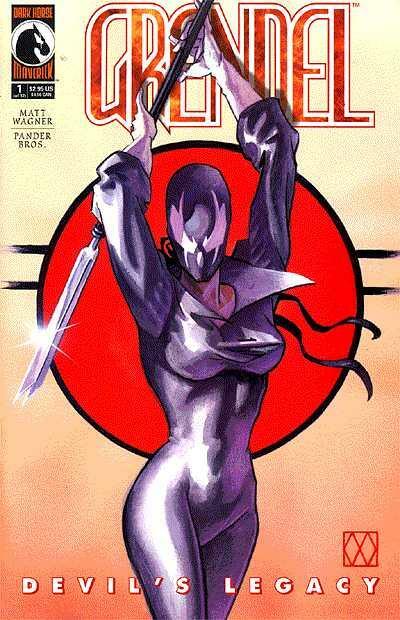 She's a very tall and elongated figure, but it kind of suits the art of the comics. I'm not the biggest fan of her unmasked face, mostly because I feel that it looks a little smooshed. But again, it really reflects the way she was originally drawn. Here is the cover of Grendel #1 from 1986 and the 2004 recolored collected edition from Dark Horse Comics. 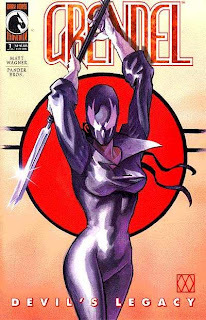 I much prefer her masked look. This is an all-around great figure of a classic character in modern comics. Her lankiness makes her a little awkward to pose or stand, but she looks very cool and is a great addition to any indie character collection.